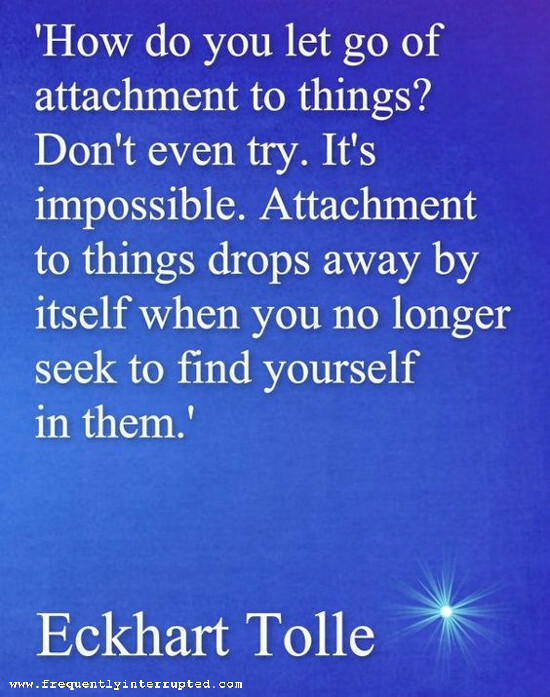 Attachment is not about what you own, it is about what owns you. Your worth is not measured in things, but you diminish your worth by trying to measure it in things. When you try to let go, that act, itself, is holding on. Just live. Let things come and go, and find your worth in yourself. The rest will sort itself out.